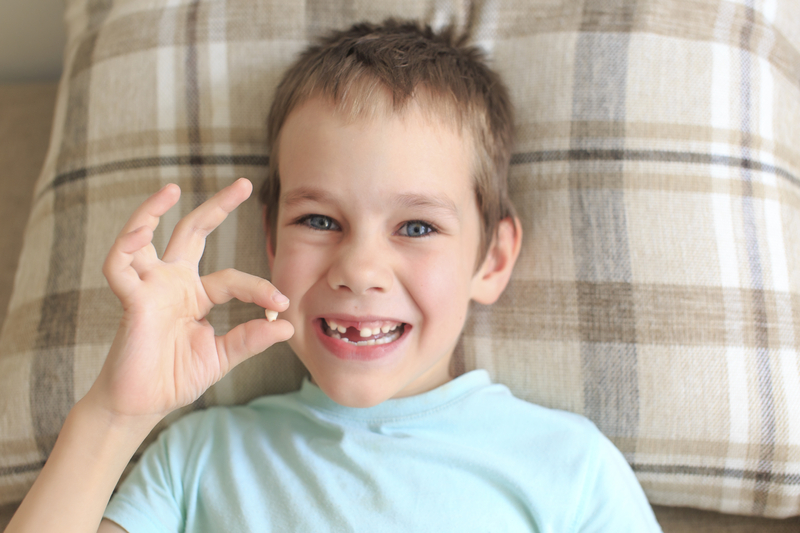 Did you know your child’s baby teeth are potentially way more valuable than the tooth fairy’s going rate? A month ago, my 6-year-old wiggled her first tooth out, and the tooth fairy dutifully left a glitter-strewn $1 bill and a nice note. In response to my Facebook post announcing this major milestone, my mom pointed out an article about “banking” baby teeth because — get this — the living dental pulp inside baby teeth contains stem cells. “Stem cells” might ring a bell for women who delivered babies in a hospital or birth center, because most of us were asked if we wanted to store or donate the stem-cell-rich umbilical cord blood. Stem cells are the body’s biological wild cards, with the potential to be transformed into a variety of other cells and used in medical therapies to replace damaged or malfunctioning cells. Think of it as a way to treat an ailment at a cellular level specific to the individual, rather than just treating symptoms. For that reason, many parents decide to “bank” their baby’s umbilical cord upon birth. “Up to 40 percent of qualifying mothers with normal term pregnancies opt to donate cord blood to the public bank, and private donation is even more frequent,” says Dr. Rebecca Haley, medical director of Bloodworks Northwest. Last year alone, 250 units of publicly banked cord blood were sent for transplant through the Cord Blood Coordinating Center and used in treatments for leukemia, lymphoma, rare cancers and metabolic conditions. But back to the baby teeth. Growing up around my dad’s dental office, I saw and learned some fascinating things, but stem cells inside teeth? It blew my mind to think that my child’s baby tooth could hold the key to a life-saving treatment in her adulthood. To collect and store dental stem cells, a dentist must extract the baby tooth when it starts to get wiggly and then prep it with materials from a special kit provided by the chosen dental stem cell bank. Currently there are five such banks located in the United States. Once the doctor preps the tooth, it’s sent overnight to the chosen bank, where, upon confirming the cells’ viability, they’re cryogenically preserved (i.e., frozen) until needed. It blew my mind to think that my child’s baby tooth could hold the key to a life-saving treatment in her adulthood. Currently, this relatively new service is only available privately, which means you have to pay a one-time processing fee that varies from $500 to $1,700, plus an annual storage fee of about $100 to $200. To differentiate themselves, some labs tout higher lab certification standards, options to duplicate cells to enlarge the specimen sample or provide an environmentally friendly processing kit to the dentist. Most labs also affiliate with larger ones, in case the business should change hands or something happens at the storage site. But aren’t all stem cells the same? Isn’t donating your baby’s cord, if you choose to do so, enough? Not exactly. There are important differences between dental (mesenchymal) and umbilical cord (hematopoietic) stem cells. Dental stem cells can become, among other options, bone or muscle cells to treat issues associated with those areas of the body, much like doctors already use umbilical cord stem cells in blood-based therapies to regenerate blood and bone marrow for cancer patients. Also with dental stem cells, you have at least 24 chances (that’s the number of baby teeth plus wisdom teeth) to gather them over the years your children lose their teeth. These cells can also be duplicated on a massive scale, so even a small viable sample can theoretically yield a large bounty. Conversely, with umbilical cord stem cells, you get just one chance to gather them — at birth. The number of cord stem cells you get is all you get, as there is not yet a method for duplicating them. There are, however, public banks where people can donate or receive umbilical cord stem cells. So why is it that you haven’t heard of dental stem cell banking? It’s still a work in progress, with many treatments and therapies under development. The U.S. Food and Drug Administration has yet to approve the widespread use and application of dental stem cell therapies, with only animal studies and limited clinical human trials conducted thus far. Advocates are hopeful that the successes with umbilical cord stem cell therapies will hasten the approval process for dental stem cell therapies within the next decade. Think of banking dental stem cells as “biological insurance,” says Arthur E. Greco, CEO of StemSave, a dental stem cell bank in New York City. He and other supporters of dental stem cells believe regenerative therapies are poised to revolutionize medicine. While this may sound like science fiction, medicine is moving toward, customizing therapies and medications down to the cellular level. There is still much work and research needed, but by the time our kids hit middle age, this type of treatment could be a distinct reality. If you’re interested in dental stem cell banking, read up on all of the options and find the one that best fits your needs and budget for the long haul. After all, you’re setting up a potential option for your children’s medical well-being that will follow them into adulthood. 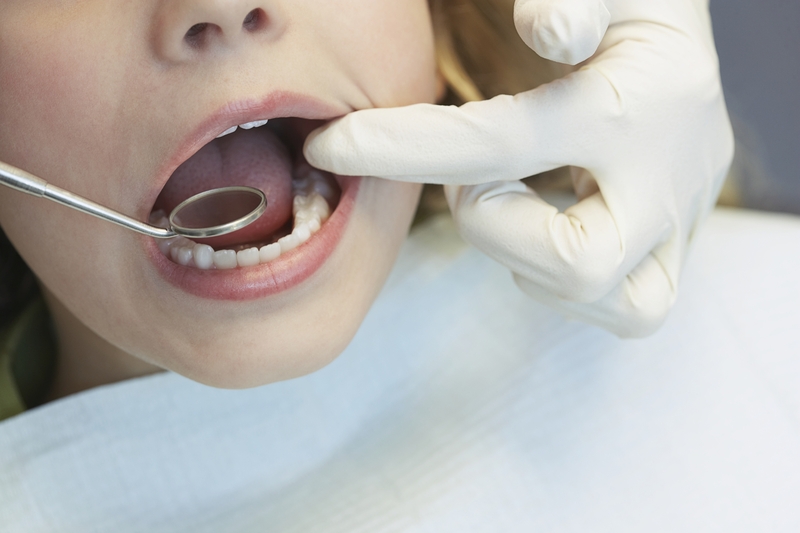 While some parents may be ready to jump on the dental stem cell bandwagon now, others might want to wait and keep tabs on future medical research partnerships and FDA trials. Either way, I bet you’ll never look at a loose baby tooth the same way again. I know I won’t.